Nitro Auto Transport, headquartered in Fort Lauderdale, Florida, offers efficient and trustworthy vehicle shipping. They offer around the clock service. 24 hours a day, seven days a week. They ship anywhere in the continental United States as well as Alaska, Hawaii, and even Canada. International car shipping is also available. Nitro Auto Transport Inc. offers door-to-door pickup and delivery. Your vehicle will be picked up at your door (or as close as possible to the pick up location), and then delivered to your door (or as close as possible to the delivery location). The same driver picking up your vehicle will deliver it to its destination. As a customer you will be able to choose from two different shipping methods; open auto transport or enclosed auto transport (for an additional fee). Open transportation car carriers are the same ones that deliver new cars to the dealership, which you may see on the highway or on your local streets. Enclosed transportation car carriers are designed to keep your vehicle free from the outside elements such as rain, snow, and road debris. Nitro Auto Transport prides themselves on their incredible customer service, and making your car transport service as easy as possible. With affordable car shipping rates and a promise that your vehicle will arrive at the destination in the exact same condition in which it was initially delivered. Your vehicle will be insured and they will provide you with the driver's phone number and insurance information once they've confirmed your order. 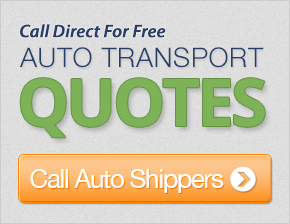 Get a free auto transport quote now and save up to 50% on your car shipping needs. I found this organization to be very responsive to my questions and needs and very polite and helpful in the pickup, delivery and tracking of my vehicle to California. This is my first experience with a car transport company, and it was very good. Excellent attention to detail. I will recommend this comany in the future to anyone. The service I received was second to none. This is a great company and if I ever have a need to ship my car again or know of anyone who needs this type of service, I will only use your company. A million thanks! Thank you very, very much! My car only took 2 days to deliver. What a wonderful service. Everything went perfect and I saved your web address for future use. Thank you again! The driver was very very polite, informative and careful with the vehicle. I would definitely do business with your auto transport company again. Service was a lot faster than even advertised. Drivers were extremely courteous. Overall the experience was excellent with the drivers keeping their time. Reps returned my emails and phone calls in a very timely manner. Very patient, considerate and helpful. Also, the driver was very pleasant, informative and timely. Thank you! Overall my experience was positive. The driver was very courteous and repspectful, which made the process go smoothly. The range of delivery and pick up time was not met; however, I appreciated the professional and prompt responses from the driver. The price was also unbeatable. Not only am I satisfied with this company, but I will definately use this company in any future deliveries and have recommended to three other people as well. Thanks for the great service! I am very grateful to your company. I was very surprised that it only took less than five days. I will definitely use your services again as well as recommend you to others. Thank you again.